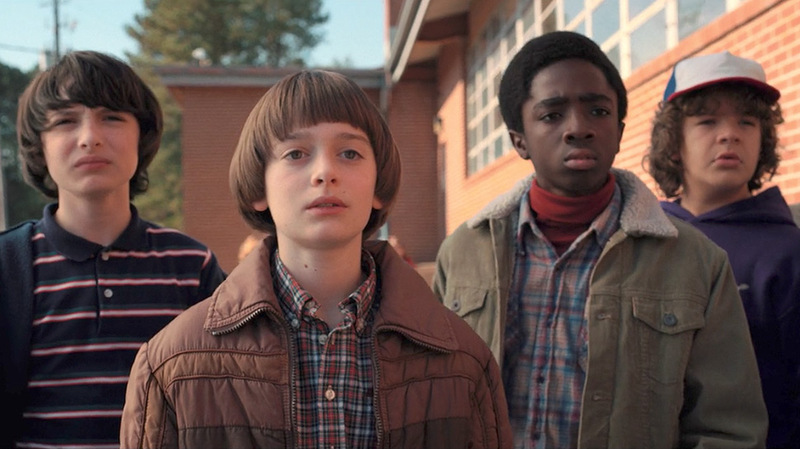 The first season of “Stranger Things” was hands-down the breakout pop-culture phenomenon of 2016 and perhaps the most successful appeal to the ’80s nostalgia bug that seems to have bitten viewers hard the past few years. While Winona Ryder was the marketed star power in the beginning, newly minted fans left the first season in love with various characters played by actors who were not even born in the ’80s. But does the second season measure up to the expectations created by the first? On the whole, yes. It’s got enough of the first season’s calling cards to feel like the same series, but it’s also evolved enough and picked up enough new additions to not feel overly repetitive. That being said, season two definitely had some winners and losers. Of the new characters—hell, of all the characters—one clear winner is one that viewers who haven’t seen season one in a while might not even realize is new: Erica Sinclair (Priah Ferguson), Lucas’ kid sister. She only shows up in a handful of scenes but steals every last one of them. She’s probably around eight, loves maple syrup, unabashedly ships Barbie with He-Man and is almost certainly cooler than you. A new favorite has also arisen in Steve Harrington (Joe Keery), who finally earns the title “King Steve” for his entirely unexpected but wonderfully compelling role as mother hen. While hardly expected, in retrospect, it does create a certain synergy with his cockscomb-like hair. The second season doubles down on several key elements of its predecessor. The monsters are bigger and more numerous, though your mileage may vary regarding whether or not the explanation behind the monsters that the new season takes considerable pains to provide is actually worth the effort. The more you know about science, the less it makes any sense—by which I mean it makes absolutely no sense at all. It’s still plenty enjoyable, though I do feel compelled as a biology major to mention that, in spite of what Dr. Sam Owens (Paul Reiser) insists, viruses are very much not alive. In addition to continuing the Steve-Nancy (Natalia Dyer)-Jonathan (Charlie Heaton) dynamic, the new season stocks up on love triangles, adding one for the older generation with the addition of Joyce Byer’s (Winona Ryder) new boyfriend Bob Newby (Sean Astin), an affable and somehow endearingly bland tech store employee whose presence does nothing to decrease the lingering glances and unresolved romantic tension between Joyce and Chief of Police Jim Hopper (David Harbour). The kids also get a pseudo-love triangle between Mike Wheeler (Finn Wolfhard), Eleven (Millie Bobby Brown) and newcomer Maxine “Max” Mayfield (Sadie Sink). It’s an unnecessarily cliche addition, but thankfully the show does not indulge in this trite dynamic as much as it could have. That said, it still marks a disappointing missed opportunity to explore any number of the more interesting dynamics possible with Eleven being able to interact with another girl her own age, perhaps for the first time in her life. “Stranger Things” is full of interesting characters, but not all are as well served by the second season as the first season. Of the returning characters, Jonathan ends up being particularly underdeveloped. One of the more intriguing figures of the first season, he’s very much relegated to a supporting role this time around, seemingly existing only to fill a role in other characters’ arcs without truly having one of his own. As far as directions for season three go, there is little in the way of hints. Unlike season one, there are no cliffhangers here—no coughing up evil slugs, no Eggos in the woods. The unusually clean ending might appear somewhat ominous, but not to worry. The lack of a blatant season three setup is not a sign of an uncertain future. As explained by the creators, the Duffer brothers, it was a choice made to allow for greater creative freedom in the third season. While the season one cliffhangers kept fans talking for the past year, the brothers said that setting up so many obvious questions forced them in very specific directions for the sophomore season. By contrast, the “Stranger Things” writers’ room is now free to go in just about any direction it wants for season three. However, while the advantages are obvious from a writer’s perspective, the lack of dangling questions seems to be one of the reasons why season two discussion already appears to be dying down online—viewers haven’t been left with all that much to ponder. Overall, season two adds a handful of characters and flaunts what is undoubtedly a much bigger budget, but is, for better or worse, incredibly consistent. Fans of the first season will likely be satisfied, though not blown away, while those that are less admiring of season one will probably not find themselves converted. A sleek, monster-filled ’80s nostalgia romp, the new season of “Stranger Things” is the sort of binge-worthy, brain-free entertainment in which viruses are alive and turtles outrun cats. If these kinds of oversights sound like deal breakers, you should probably pass on this one. But if you’re looking for some heavily referential, well-acted fun featuring snappy one-liners and the occasional jump scare, “Stranger Things” is ideal viewing for a midterm-battered brain.